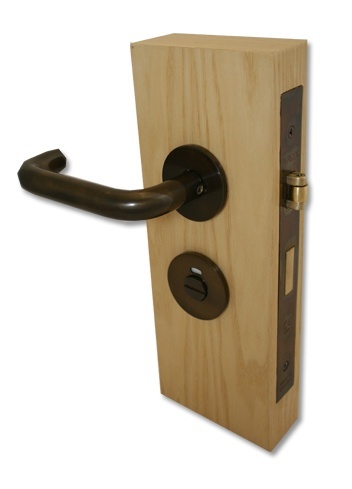 The JEFLOCK Accessible toilet lock is designed especially to comply with new legislation Part M, DDA & BS8300 etc. The accessible toilet lock operates from the outside with a lever handle to release the roller latch bolt & has a red & white indicator release, in an emergency the coin release can be turned to release the dead bolt. 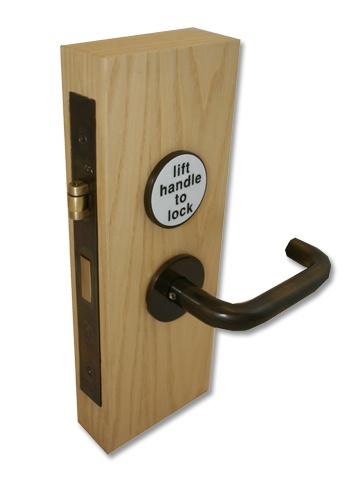 The outside operation is no different to any other bathroom lock & does not require instructions. The inside lever handle presses down to release the latch bolt & lifts up to throw the dead bolt as illustrated this is an unusual feature & therefore has a sign to read “lift handle to lock” this message is repeated in Braille. 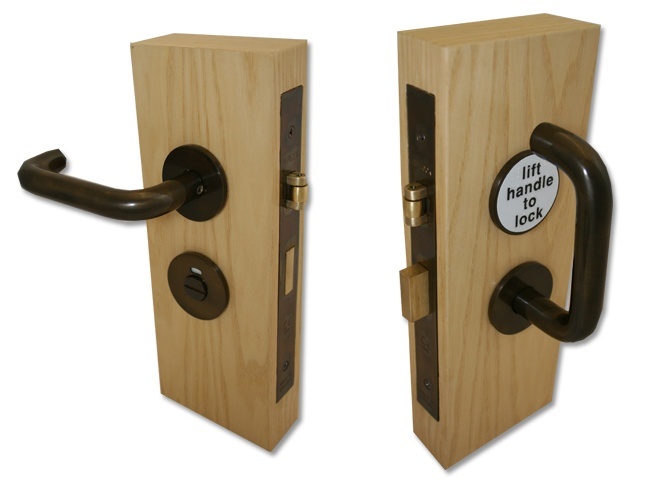 The unique JEFLOCK Accessible toilet lock comes in a complete set as shown in the photographs below. Available in all standard Normbau colours, the lock is also available in 5 additional ANTIBAC antibacterial colours at no additional cost. Metal finishes stainless steel, brass & BMA are also available. Lettering: Black letters on white background & Braille to read "lift handle to lock"